A world biodiversity hotspot known for its natural beauty and for being the home of the dodo, Mauritius is on a crusade to reduce its eco-footprint while driving up visitor numbers. Volcanic mountains, savannah-style plains and pockets of ancient forest with endemic plants and wildlife offer plenty of opportunity for green adventure, from birding, quad-biking and zip-lining to fishing and nature treks.Mauritius hosts a plethora of activities for all fitness and ability levels on land, sea and air and these can easily be arranged through resorts or tourist hubs. 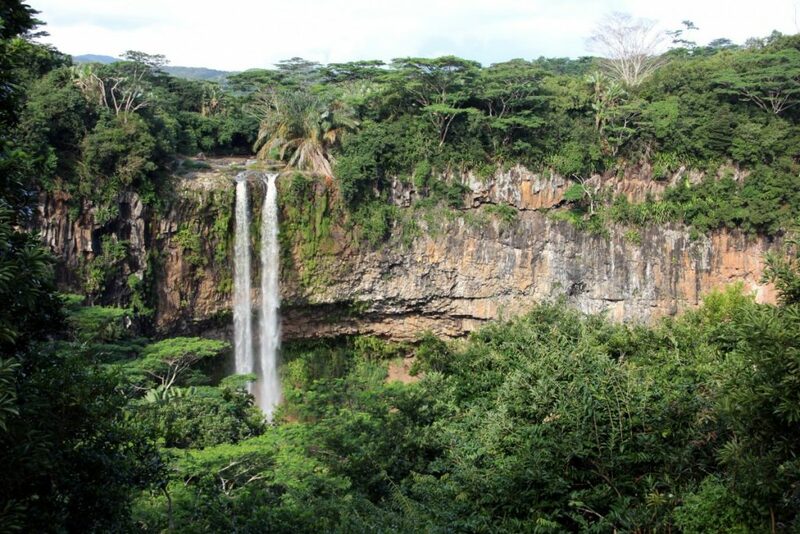 Sugar estates or domaines have been opening as eco-adventure parks offering nature treks, quad-biking, horse riding, mountain biking and 4×4 safaris to spot deer, monkeys and wild boar in vast swathes of Mauritius’ countryside. One of the favourites is Domaine L’Etoile on the east coast, where a Mauritian meal is served in a pretty thatched cottage, once the setting for the film of 18thcenturyFrench author Jacques-Henri Bernardin de Saint-Pierre’s novel, Paul et Virginie. Meanwhile, L’Aventure du Sucre, the interactive museum nearby explores the island’s multi-cultural history as well as offering rum tastings. Also close to the gardens is the latest eco-park, Domaine de Rambouillet in La Nicoliére, offering quad biking, mountain biking, hiking and archery. The Talipot Palm, which blooms once in a lifetime and then dies, is just one tree with a story in the popular Pamplemousses Botanical Gardens in the north, the third oldest botanical garden in the world. 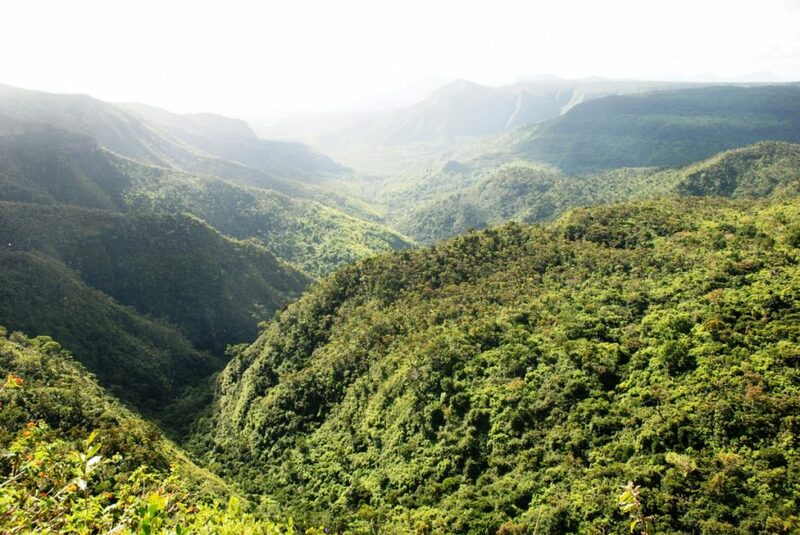 Picturesque volcanic peaks and wilderness areas, including the Black River Gorges National Parkand La Valléede Ferney,offer fantastic opportunities for hiking and experiencing the island’s unique environment. The well-marked trails of the park lead to rare birds such as the echo parakeet among the endemic ebony trees. A guided tour around the tiny rocky wildlife sanctuary of Ile aux Aigrettes in the southeast is a chance to see the island’s famous pink pigeon, which, along with the Mauritius kestrel, echo parakeet and Mauritius skink, has been pulled back from the brink of extinction with the help of the Durrell Wildlife Conservation Trust. Aldabra tortoises, have also been reintroduced on Ile aux Aigrettes, can be seen in all stages of development at La Vanille Reserve Des Mascareignes – the world’s only breeding centre – as well as the endangered Mauritius Fruit Bat. The island is also thought to be the dodo’s final resting place. 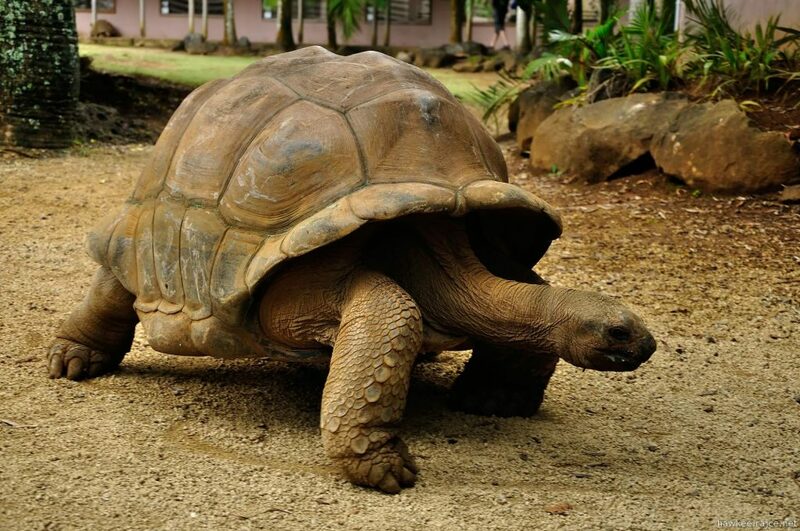 Set in a beautiful rainforest valley with natural freshwater springs, the Crocodile and Giant Tortoises Park offers an insight into how some of the island’s more unusual residents live. A local guide will take visitors on unforgettable walks through the greenery as they encounter giant tortoises and view crocodiles. Horse riding is becoming increasingly popular and exciting rides can be found along the beach at Riambel, through the Mont Choisy Sugar Estateand up to the summit of Le Morne Brabant.The sugar plantations turned eco-adventure parks Domaine de L’Etoilein the eastandHeritage Resorts’FrédéricaNature Reserve on the Domaine de Bel Ombre are home to exciting quad biking and mountain biking trails. Cycling is an excellent way to discover Mauritius and an opportunity to taste some of its culinary delights. There are a number of companies promoting this healthy, sustainable and rewarding means of exploring the island. 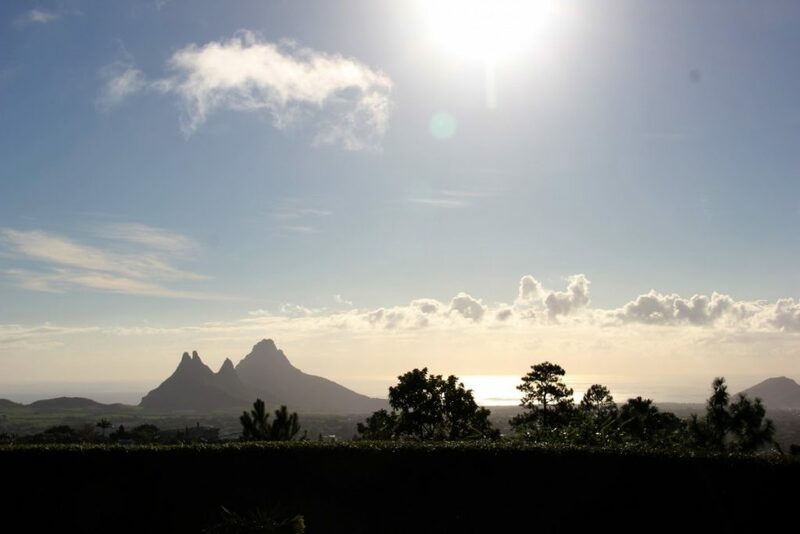 Outrigger Beach Resortis working in partnership with Electro-bike Discovery, allowing guests to more easily discover its beautiful surroundings, nestled in a nature reserve in the south of Mauritius. Guests can also arrange guided excursions to discover the many attractions of the area. 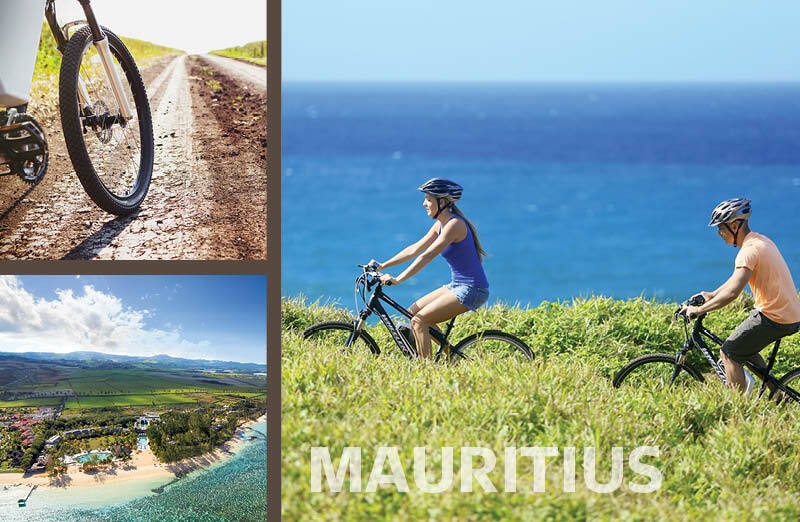 Electrobike Discovery’s goal is to enable as many as possible to have an authentic experience of Mauritius on one of its wide range of power-assisted bikes. This 100 per cent Mauritian company allows travellers to visit unexpected natural areas with a host of excursions, from Chamarel to Le Morne Brabant or Souillac. In a similar vein, My Moris is a touring company born of a passion for the culture, history and heritage of Mauritius. The company aims to help visitors discover the heart of the island through its history, religions, languages, crafts and cuisine. The Exploration of Port-Louis’ Street Food tour allows visitors to explore Mauritius’ culinary history on foot while The Sweet Life of Poudre d’Or offers the chance to discover the heart of a Mauritian village by bicycle and on foot, with its cotton and indigo plantations and the stone-built architectural relics. Vertical Worldoffers mountain and rock climbing too. More extreme adrenalin junkies can take a tandem skydive from 4,500 metres with SkyDive Australat Riviere du Rempart, 20 minutes from Grand Baie. There is also the spectacular 90-metre abseil at Chamarel Falls and the opportunity to go cliff-jumping at Tamarin Falls. For something even more active, Yemaya Adventuresoffers Bras d’Eau National Park, which includes a peek into lava caves and sea kayaking expeditions to the northern Ile d’Ambre. The warm waters of the Indian Ocean and the island’s coral reef also provide a playground for adventure lovers. Larger resorts offer free non-motorised watersports equipment, including standup paddle boards, windsurf boards and kayaks, with many of the main tourist centres offering jet ski rental and parasailing. Seakarting, a homegrown sport, involves a unique hybrid combining the speed and excitement of a jet ski with the safety and comfort of an inflatable boat, giving riders the chance to explore the breathtaking coastline from Flic en Flac to Le Morne. 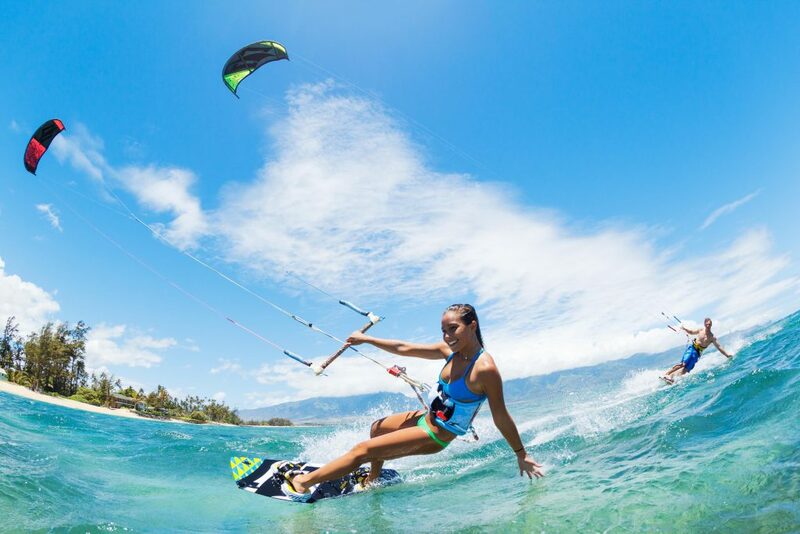 Surfers should also head to the south of the island to catch the best breaks, while the calmer waters of Kite Lagoon on the western side of Le Morne peninsula are better suited to kite surfing. 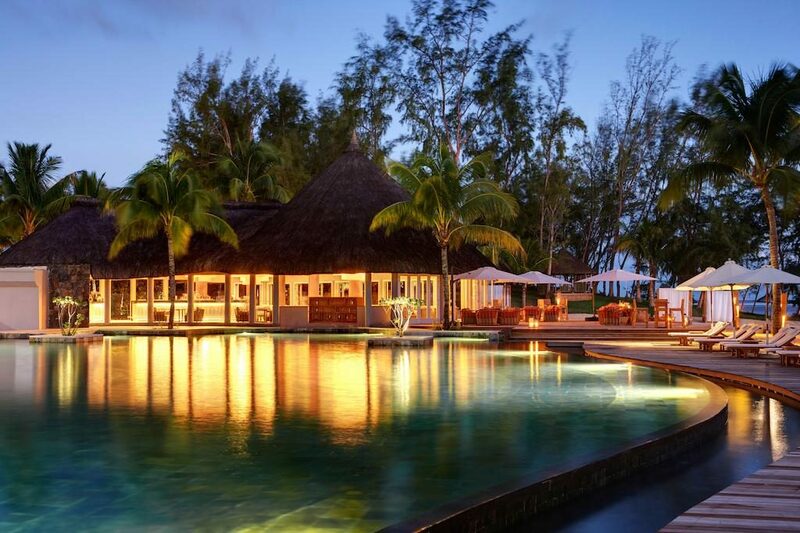 The breezy east coast is a favourite with windsurfers and the exclusive Club Mistral Prestige caters for all levels at St. Regis Resort Mauritius in the southwest. One Eye on Le Morne Peninsulahas been voted the third best kite-surfing spot on earth and is a fixture on the annual Kite Surfing Pro World Champion Tour. Rental yachts and catamarans for sailing and fishing expeditions offer hands on experience, while non-sailors can join a cruise to explore the coastal islets, often with lunch on the beach included. With turtles, sharks and dive sites from canyons to submerged wrecks, Mauritius is known as one of the best diving spots in the Indian Ocean. Leading resorts have PADI dive centres, with sites for novice to experienced divers.The fringing reef, which lies a few hundred metres from the shore, provides a calm, safe training spot for novices while numerous shipwrecks and vast caverns like The Cathedral offer an unforgettable adventure for the well-practiced. A variety of exotic species including parrot fish, angelfish, trumpet and clownfish make the reef an Aladdin’s Cave for snorkellers, too. Strong currents and winds render the south and parts of the east coast unsuitable for diving, so most activity focuses on the west in the summer months, when the warm waters attract an abundance of marine life. Blue Safari Submarine offers leisure rides to a depth of 35 metres while and Solar Sea Walk gives visitors a rare opportunity to walkon the ocean floor, among the corals and fish of the north’s crystal clear, shallow lagoon. Sea walkers wear a special helmet connected to breathing apparatus, meaning they don’t even have to remove their glasses. Visitors can get a sense of the multi-faith nature of Mauritius by gazing over the churches, mosques and temples from the Citadel of Port Louis, above the eponymous capital. On Le Caudan Waterfront below is The Blue Penny Museum, which hosts the world’s first colonial stamp while not far away, the Natural History Museum counts a unique dodo skeleton among its exhibits. For a sense of Mauritius’ colonial past, head to French mansions island wide. Eureka Maison, framed by the Moka Mountains and with its 109 doors and wraparound balcony, is a feat of engineering. On the tea route, Saint Aubin’s Bois Cheri vanilla tea is the island’s best brew and Mahebourg, built on the shore of the immense bay of Grand Port, is one of the main fishing villages on the island. One of Mauritius’ most famous attractions, La Vallee des Couleurs Nature Park fascinates locals as much as it does tourists. The main attraction is the stunning 23-coloured volcanic rock dating back millions of years and there is a range of natural landscapes, including plateaus, mountains, valleys, craters and crater-lakes, filled with a variety of fauna and flora. The area is home to tortoises, monkeys, stags, fish, and birds – including the famous pink pigeon. Similarly, in the south is the curious seven coloured earths of Chamarel, one of the most visited sites on the island, with rum tastings at Rhumerie de Chamarel nearby. Runaway slaves once hid on UNESCO World Heritage Site, Le Morne Mountain, at Mauritius’ southwestern tip, where an early morning climb is rewarded with spectacular views over the coral gardens. 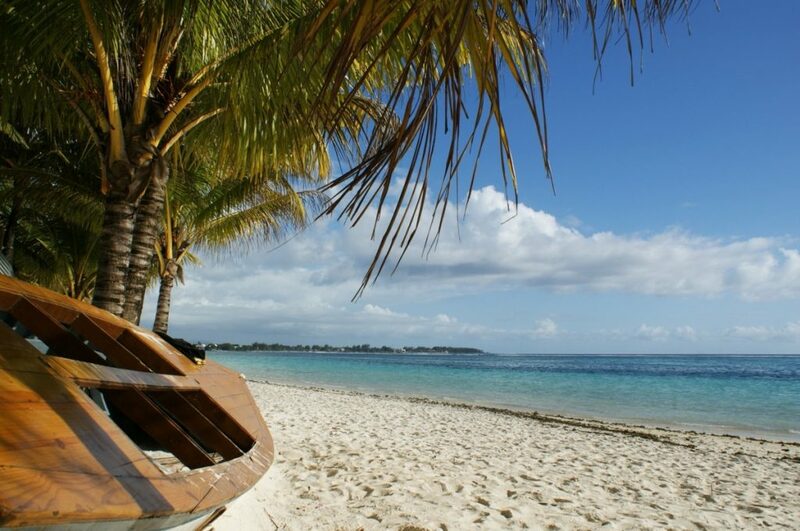 Mauritius has a fine mix of culture, distinct cuisine, natural attractions and adventure making it a great place for travellers to relax, experience and explore.